All ESCALA LODGES homes currently listed for sale in Park City as of 04/18/2019 are shown below. You can change the search criteria at any time by pressing the 'Change Search' button below. "Hyatt Centric has the absolute best ski in/ski out experience in the Canyons Village. Valet lays your skis on the slopes. Not even a walk to the lifts. Click in, start skiing. Ahh, this is a well-spent vacation. All your effort focused on enjoyment rather than planning, hauling, maintaining. 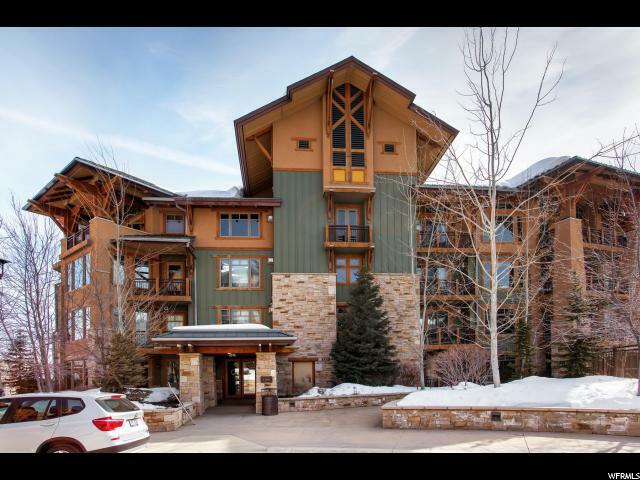 #252 has everything a luxury retreat should have - ski in/ski out location, hardwood, stone finishes, 2017 completely remodeled gorgeous modern mountain aesthetic. Owners' storage inside the unit lets you leave your suitcase at home. Spacious great room, stone fireplace. Subzero, Viking, Asko Chef's kitchen. Grand Master suite with huge luxury bath. Includes 2 deeded Park City Resort ski passes until 2040 (a $30k value). Private lockers with boot/glove heaters and exclusive owners lounge. Additional owners storage (8'x6') available to store bikes, boards, etc. Please see attached 3-page features sheet."